This album needed to be great. To Pimp A Butterfly is a landmark album and while The Life of Pablo is not Kanye’s best, it remains a very strong album. Things were looking good for Drake too, he comprehensively demolished Meek Mill in their beef and “Hotline Bling” was not only the best song, but also the best meme of the past year. 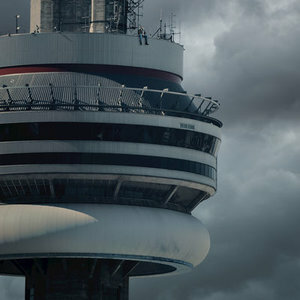 Views however is the kind of album that collapses an empire. The biggest issue is how repetitive it is. A cut like “9” could have survived on a different album, but here it just reinforces the faults of the album, namely that it is repetitive and just slightly boring. We’ve heard the petty Drake for far too long and by this point his mix of hurtful and hurting is no longer interesting. He raps “Why you gotta fight with me at Cheesecake/ You know I love to go there” in “Child’s Play”, but really who cares? This act has gotten tiring and his monotonous beats and flow in Views does not help. I can still listen to the incredibly petty “Marvins Room” indefinitely, but half of the music of this album is tedious from the first listen. There are some strong pieces to this album though. “Too Good” with Rihanna is quite good and has enough self-awareness to become meaningful and “Hotline Bling” is still fantastic. I just cannot recommend that people track this album down however. Overall, it just lacks in ideas and in quality.